When two rap legends meet for the first time, you know something epic is going to go down. And now, thanks to a story Snoop Dogg recently shared with Demetrius Shipp on the GGN Network, we know that it did. Shipp is portraying the deceased rapper in the upcoming biopic, All Eyez on Me. And with more interest being generated around Tupac Shakur, lots more stories are coming out about him. Snoop Dogg shared about the very first time and and Pac met. It was long before they were both signed to Death Row Records. In fact, they apparently met at a wrap party in 1993. But, since the two were soon to be icons in the hip hop community, their meeting – of course – included some rapping. Snoop Dogg explained that they were both celebrating Janet Jackson and Tupac’s movie, Poetic Justice. Somebody started spinning some beats and Tupac grabbed a mic. And the young Snoop Dogg decided to join in the fun. 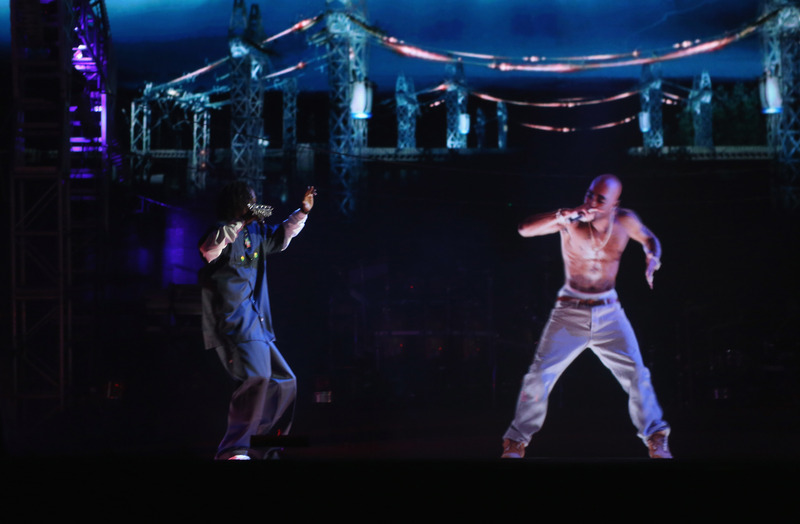 Snoop explains, "Tupac grabbed the mic, he started rapping. I grabbed the mic, I started rapping. But I’m rapping aggressive, because at this time, I’m one of them, like battle rappers. So I’m aggressive. So he come back, he aggressive. It sound like we kinda like battling each other." Both the entertainers were clearly impressed by the other, because they became fast friends. After the (kind of) battle, they went outside and introduced themselves to each other for the first time. They quickly bonded and the rest is rap history. All Eyez on Me will come out on Tupac’s birthday, June 16.